The North America Mission Board is looking forward to the People Groups Mapping Event March 10-11, 2017, presented by Bryan Galloway, IMB. It will be held at New Vision, 1201 Montague Expy, Milpitas, CA 95035. Participants will not be charged, but lunch is on your own. 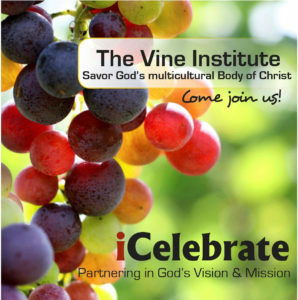 Please contact Dr. Linda Bergquist at 415.359.3397 or check out their website NAMB.net. Biblical Perspectives on Migration: A recent poll found that 9 out of 10 evangelicals say that the Bible doesn’t influence their views on immigration. This seminar will offer practical tools and resources on how to develop biblical teaching on migration and immigrants in your church. This is one topic covered in Spanish and English at the Kingdom Fusion Ethnic Ministries Summit, October 28 – 29, 2016. Register TODAY to get the Super Early Bird price of $30.00, which includes lunch. This price ends on Monday October 10, so don’t delay! Join us as we learn together. When radical Islamic terrorists brought down the World Trade Center’s Twin Towers 15 years ago, they didn’t realize their actions would also help bring down walls to reaching Muslims with the Gospel. What is the place of the Church and how can we respond to the influx of refugees with both wisdom and love? How can Christians be the hands and feet of Jesus to a wandering and disadvantaged people? How can we effectively communicate the gospel in such circumstances? These are questions the Forum of Christian Leaders attempt to answer in this Roundtable Discussion. They brought together evangelical leaders from various perspectives in order to address the challenges and opportunities posed by Europe’s refugee crisis. Perhaps we can learn something from them. 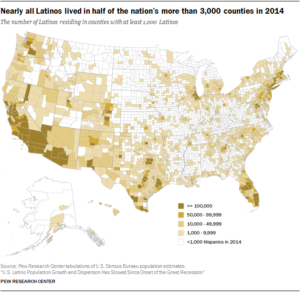 A new Pew Research Center report finds that the growth and dispersion of the U.S. Latino population has slowed since 2007, when the Great Recession started, immigration from Latin America cooled and Latino fertility rates began to fall. Read the key takeaways, and explore the data by state, county and metropolitan area in their interactive maps and fact sheets. Read this inspiring article from Matthew Soerens, U.S. Director of Church Mobilization for EAN member organization World Relief. EAN member Leiton Chinn and his wife Lisa are making final preparations for two workshops on International Student Ministry and then will be traveling to Jakarta, Indonesia, to serve as Mentors at the Lausanne Younger Leaders Gathering for 1,000 emerging missional leaders from 160+ countries. Please pray for their travel arrangements and safety.